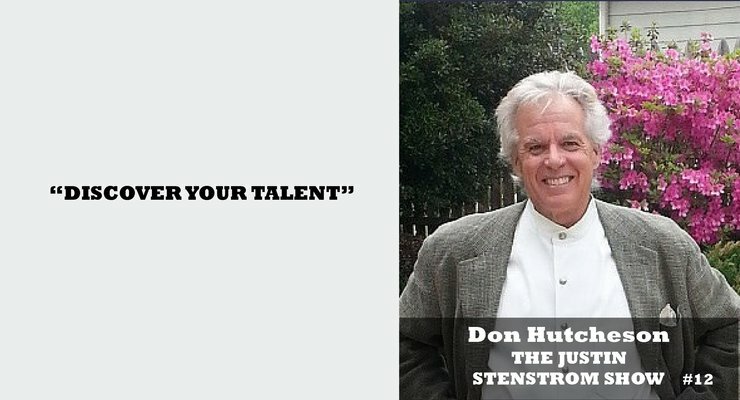 Don Hutcheson, entrepreneur, author, and coach, joins our show in this special episode of The Justin Stenstrom Show! Don talks about how we all have genius and unbelievable creative potential inside us, and how we can unlock these talents today! He shares with us his best tips for figuring out what our strengths and our weaknesses are and then how to take advantage of this in life. If you’re wondering what you were born to do, what your hidden talents are, and how to figure out what to do with your life, check this episode out now!